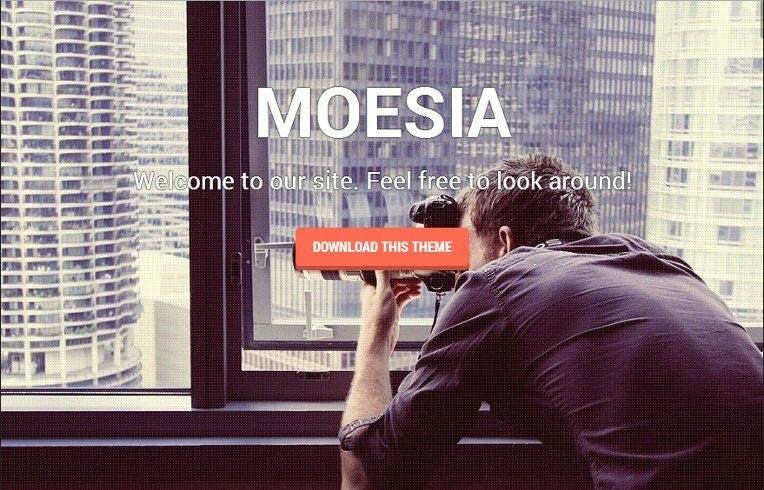 There are ton of free and beautiful WordPress themes in 2014, I know that I can’t listing it completly in this topic to help you choose and use for your WordPress website. As that is the case, I really wanted to showcase some truly amazing, beautiful and totally free WordPress themes in hopes of paying homage to other great minds in the WordPress community. In this article, we’ve collected our favorite free themes from 2014, and I only choose the best from a bloat load of free WordPress themes which I have tested and used. Here are our picks for the best free WordPress themes of 2014 that you should use on your blog right now. You’re in the last month of this year: Year of the Horse in Asia. The Black Friday and Cyber Monday has been passed, do you miss any interesting items? Don’t forget to check Envato Giving Away Premium items per days until Dec. 24th 2014. And today, We roundup of the TOP 10 of Beautiful & FREE WordPress Themes for Dec. 2014 and we hope that you will find among them a good one for you. All themes in the collection are released under the GPL license, comes with cool and useful features and options. So I would like to make it easier to find the best WordPress themes what you are looking for? Hi all, we’re in midle of Autumn, I really love this season and I’ve wished it’s prolongable all of year. Now, there are large numbers of WordPress themes available in the marketplace. But, only some of the themes that are clean, responsive and great features. Here are round up of the best WordPress themes released in the month of October, 2014. I would like to make it easier to find the best WordPress themes what you are looking for? We are happy to present and sum up this months free WordPress themes. It was a month loaded with a lot of amazing theme releases. So I would like to make it easier to find the Best Free WordPress Themes September, 2014 what you are looking for? So without wasting any time, let’s get started! My WordPress Themes of The Month was interrupted since the begin of this year. Today, I’ll continue write about it to offering you a brief overview of the most top-rated free themes of this month – July 2014. So I would like to make it easier to find the best WordPress themes what you are looking for? They’re available from the April Fool’s Day until midnight on the the end of April, 2014 (AEDT). Hello March, we’re getting near spring & summer season. So if you’re wanting to change your life or start with something – NOW is perfect time. But don’t forget to get some free files of the month on Envato Marketplaces: ThemeForest, CodeCanyon, 3DOcean, ActiveDen, PhotoDune, GraphicRiver, … Continue the listed of Envato Marketplaces Free Files of the Month – February 2014 in this post you will find a collection of March’s freebies. They’re available from the 1st March until midnight on the 31st March (AEDT). Grab them while you can! Now, there are large numbers of WordPress themes available in the marketplace. But, only some of the themes that are clean, responsive and great features. So I would like to make it easier to find the best WordPress themes what you are looking for? With the use of these free premium WordPress theme, you can make your website stand out from the rest as well as give a long lasting impression on your customers or website visitors. We hand-picked the best themes for this month – February, 2014 and included them in this list. Now all you have to do is pick your favorite and install. What are you waiting for? Happy Lunar New Year – The year of Houses, don’t said Chinese New Year because not only Chinese has new year. Today, we’ll give you a listed of free files of the month: February 2014 on Envato Marketplaces included ThemeForest, CodeCanyon, GraphicRiver … from Free files of the month series.